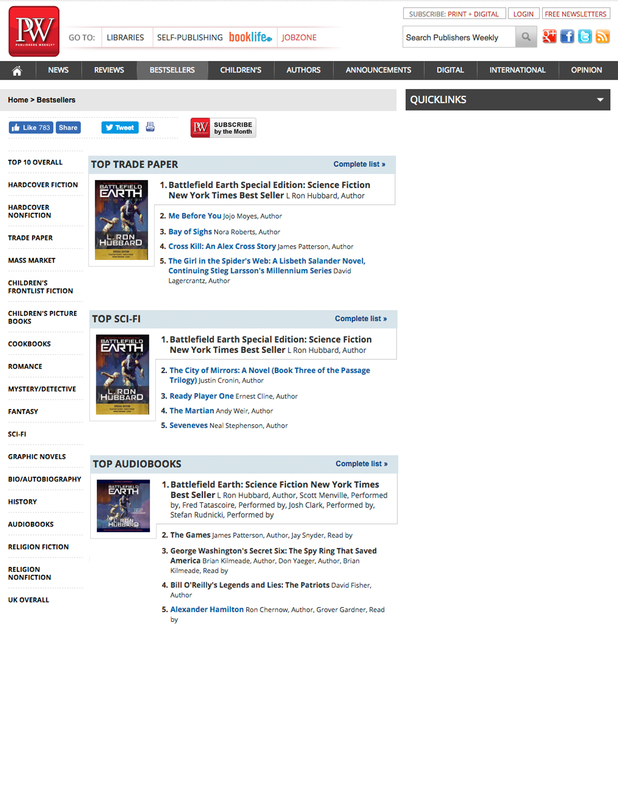 Battlefield Earth: A Saga of the Year 3000 is America’s top selling paperback, science fiction and audiobook in America this week as announced by Publishers Weekly. 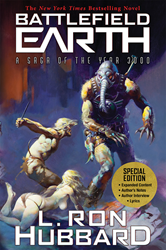 Battlefield Earth: A Saga of the Year 3000 was published as L. Ron Hubbard’s celebration of 50 years as a professional writer. In their review of the book’s initial publication, Publishers Weekly noted that in the field of science fiction, L. Ron Hubbard had “gained a reputation as a superlative storyteller with total mastery of plot and pacing” and announced that his new novel “has everything: suspense, pathos, politics, war, humor, diplomacy and intergalactic finance…. SF’s new, larger audience is about to discover an old master.” The novel was incredibly well received, hitting bestseller lists for over 50 weeks and being voted #3 of the top 150 fiction books of the 20th century by the Modern Library Readers Poll. 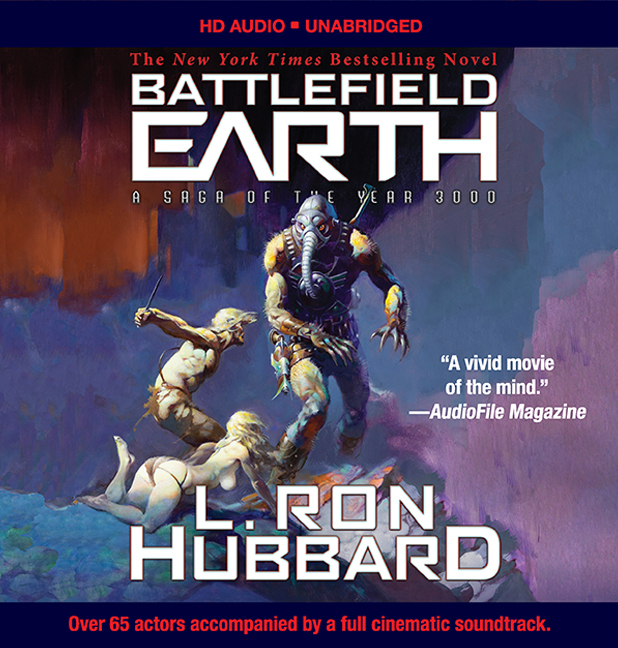 Battlefield Earth is a swashbuckling science fiction saga of adventure, daring, and courage, when man is an endangered species and the future survival of what's left of the human race is at stake. Follow Battlefield Earth news at @BE_The_Book on Twitter.